This beautiful Bejeweled Luohan for Scholastic Brilliance features the Luohan(Saint) of Philosophy and Scholastic Luck. The Scholastic Luohan is one of the 18 Chinese Saints responsible for overseeing the world of the mortals. 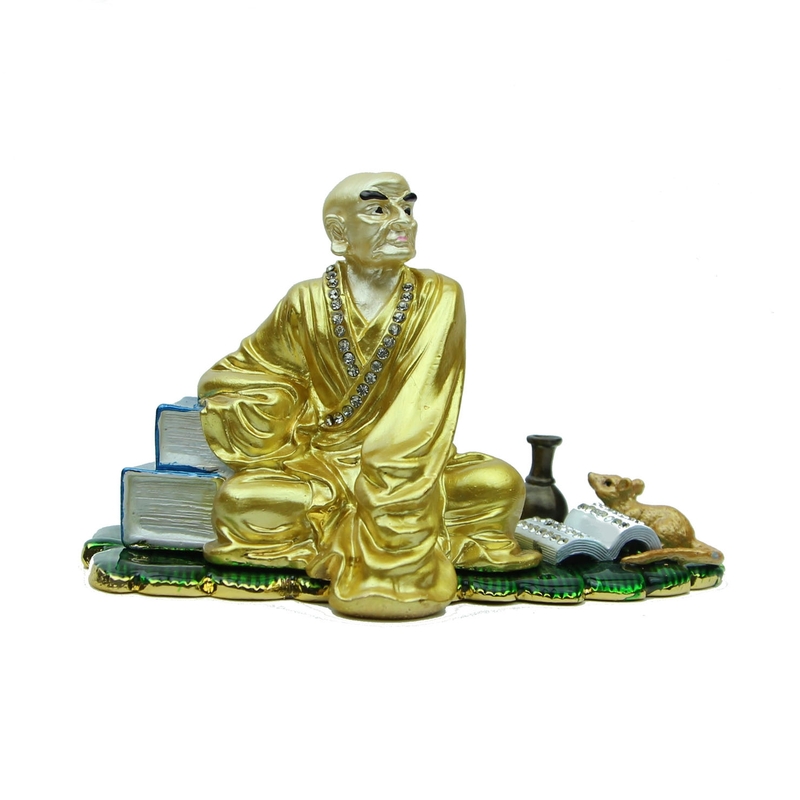 Place this scholastic Luohan in your home or office to activate scholastic luck and enhance the dedication, strength, intelligence, and focus needed for success in education and school. This wise saint will help increase Scholastic Luck, and increase opportunities for victory in academics. Place the Scholastic Luohan in the Northeast sector to activate Scholastic Luck. The dimension of the Bejeweled Luohan for Scholastic Brilliance is approx. 5" x 3" x 2 1/4". It is made of alloy.